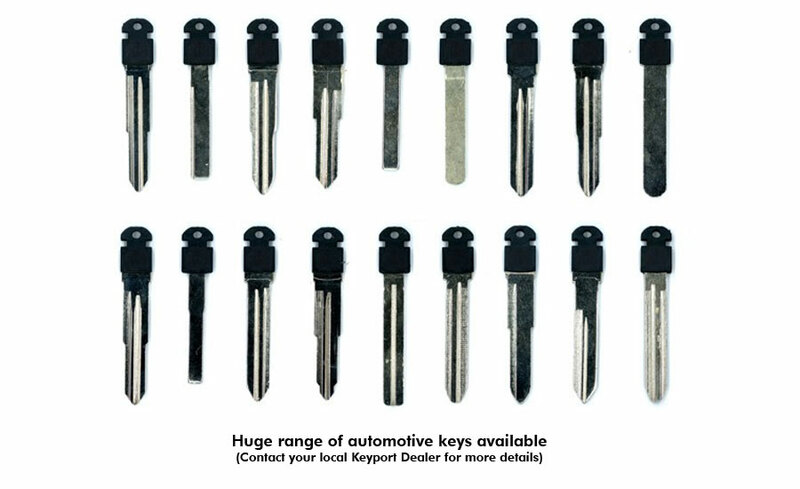 Keyport can accommodate most auto keys including a wide variety transponder chipped automotive keys. Using our proprietary key bow (head) reduction method, Keyport removes a significant portion of the key's head and attaches to it a smaller one-size-fits-all head called a Skull resulting in a shorter, thinner key blank. This provides the foundation upon which Keyport designs its devices. On top of being able to fit into Keyport devices, Keyport Blades offer a superior alternative to traditional key blanks as they allow for better organization, easier storage, and more effective customization.